This is a simple and delicious side dish that can go with almost any meal. 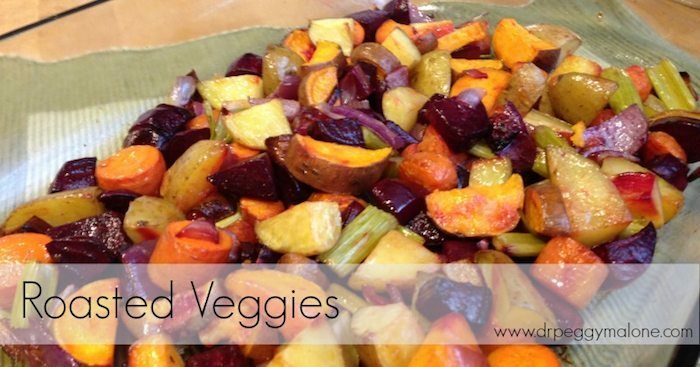 It’s perfect for the fall and winter as root vegetables are in abundance. I have made this as a side for Thanksgiving and Christmas dinner and I also make it weekly to go with pork chops or steaks on the barbeque. I usually cut up the veggies and put them in the fridge the night before or in the morning before I leave for work and then they just need to be popped in the oven which makes this recipe so convenient! 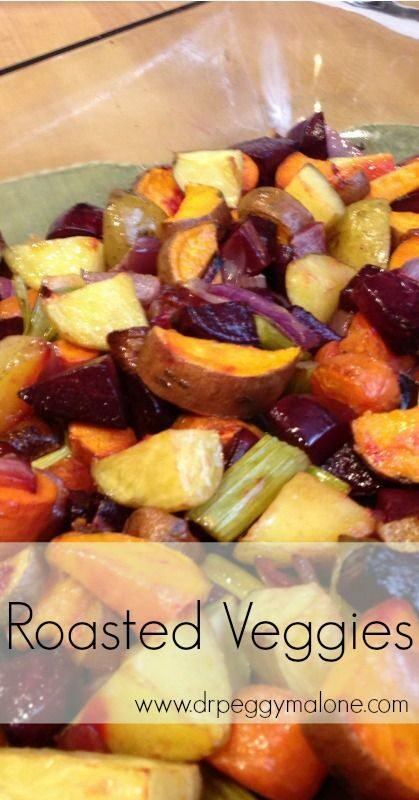 I’ve included the veggies that I usually use in this recipe but you could substitute the vegetables that you like to have roasted. The recipe is super simple. Cut up the veggies. Put them in a casserole dish, add coconut oil and bake at 350 degrees for 45 min to an hour. 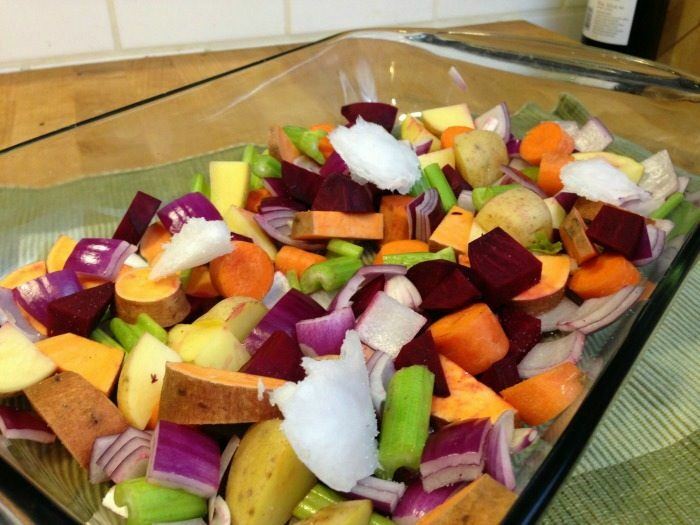 Scoop the coconut oil on to the veggie mixture and put it into the oven. I’m lucky Peggy is my Niece – In- Law (if that is the correct description). I’ve been able to sample the dish myself at occasions as described above and it’s GREAT! She is married to my nephew John so that makes her a “SPECIAL PERSON”.